Home / Arm Strength / Arm strength building with a football? Arm strength building with a football? So this will be a short post answering a question a parent had about whether or not he should incorporate throwing a football with his son to help build arm strength as well as increase velocity.Depending on who you ask, you will pretty much get black and white answers, simply because the “results” of whether or not this actually helps is pretty hit or miss. It really can’t be quantified but I can only speak for myself during my process of increasing my arm strength, as well as the teammates that did throw footballs and went on to play professionally. My rule of thumb for any workout, drill, or technique is this. If it feels good-meaning you feel confident that it is allowing you to develop physically then do it.Your beliefs are the most important thing as an athlete. 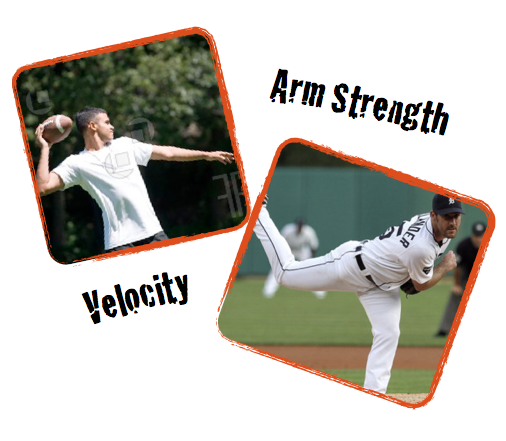 Hear are a few other reasons why I think throwing a foot ball can help develop arm strength. If more baseball players were able to take this throwing action into throwing a baseball, we would not only see less players with elbow pain but injuries from a torn UCL which cause Tommy John Surgeries. When was the last time you heard of a football player who had Tommy John? Promotes movements of players that throw with velocity. A player may not have a good arm, but understanding the biomechanics of someone who does is a great blueprint to begin with. By throwing the ball with correct external rotation and forward trunk tilt. 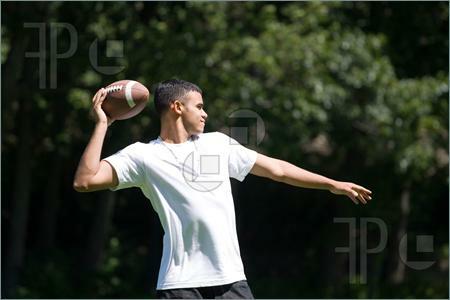 Throwing the football will also indicate wether you are getting good internal rotation after external rotation. A shared trait that most ball players that throw hard is his ability internally rotate at the release point of the baseball. Brent Pourciau of Top Velocity 3x pitching recommends using a smaller football to improve grip as well as maximize the potential to pronate. Previous post: 5 Baseball Tips Quotes that will light the inner fire!